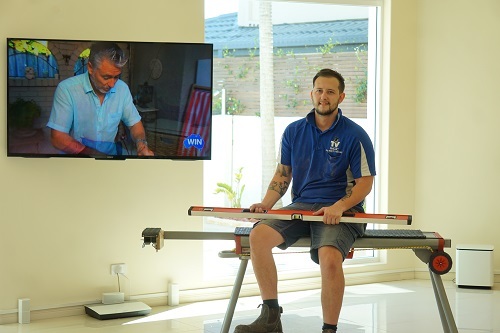 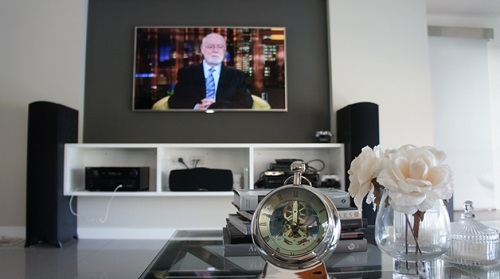 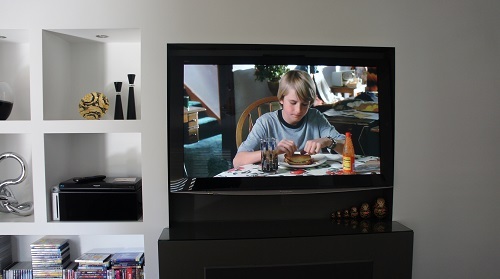 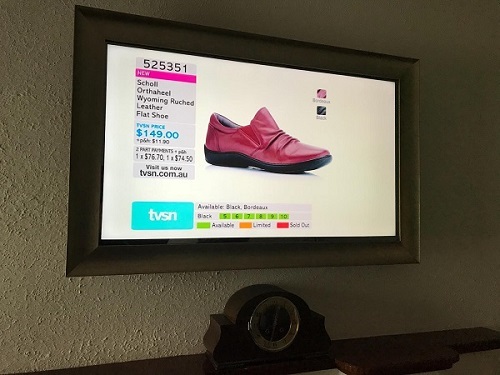 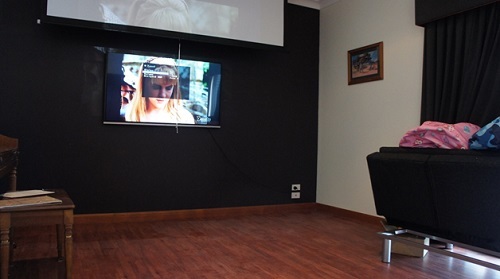 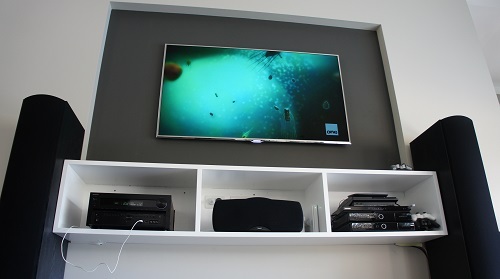 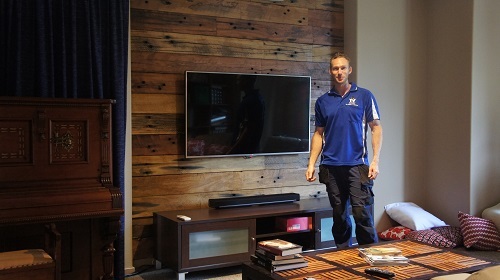 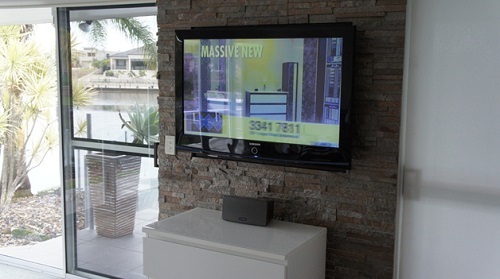 At TV Magic Nerang we hang your TV on the wall, mounted exactly where you want it and how you want it. 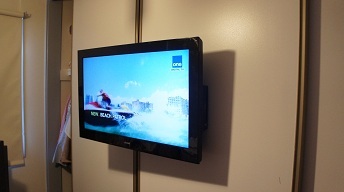 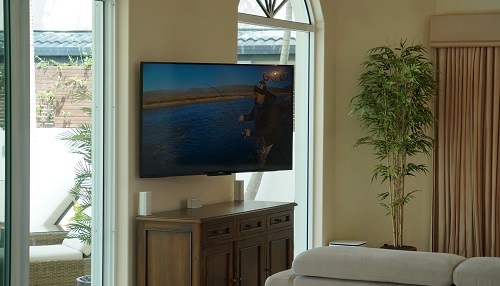 Beautifully Wall Mounted TV's are our expertise. 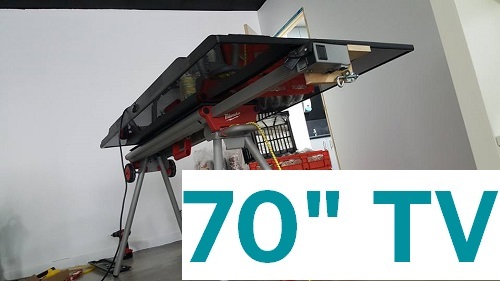 We're perfectionists! 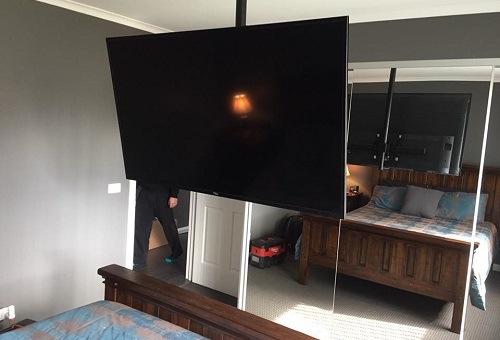 We can conceal the cables out of sight. 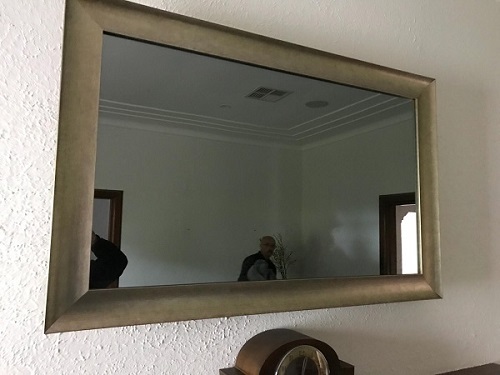 We hide them in the wall cavity where possible or otherwise in conduit there is no other option or that's what you desire. 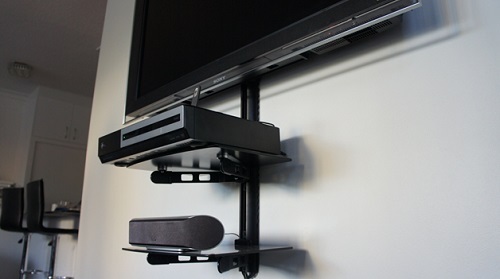 We can provide the right bracket for the job. 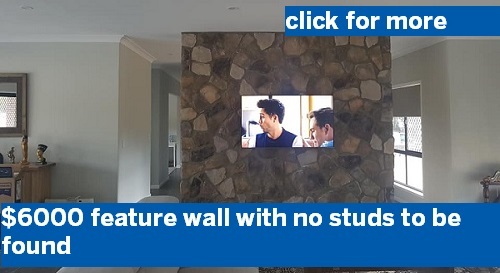 Many times our customers are sold brackets that fit the TV okay but aren't suitable for the wall stud structure at their home. 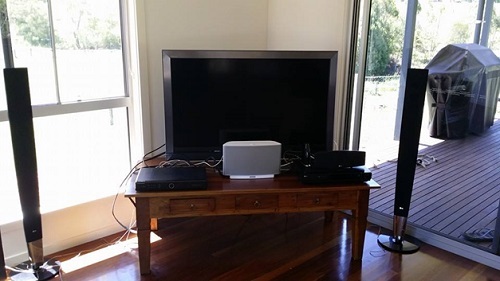 We can install a new TV antenna outlet behind the TV if you need one. 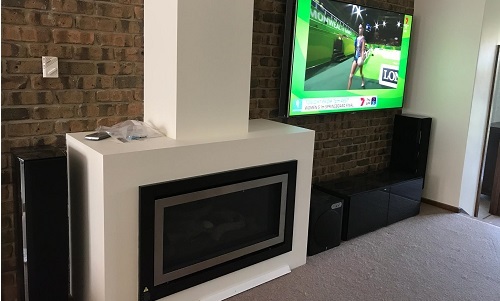 Sometimes our customers don't want a cabinet at all below their TV so for a clean finish the TV outlet should be relocated up behind the TV. 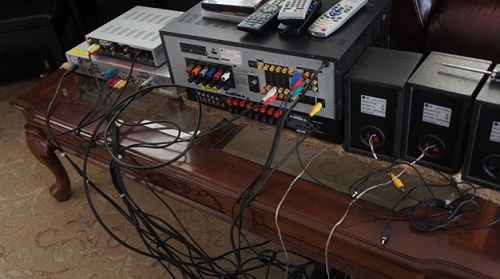 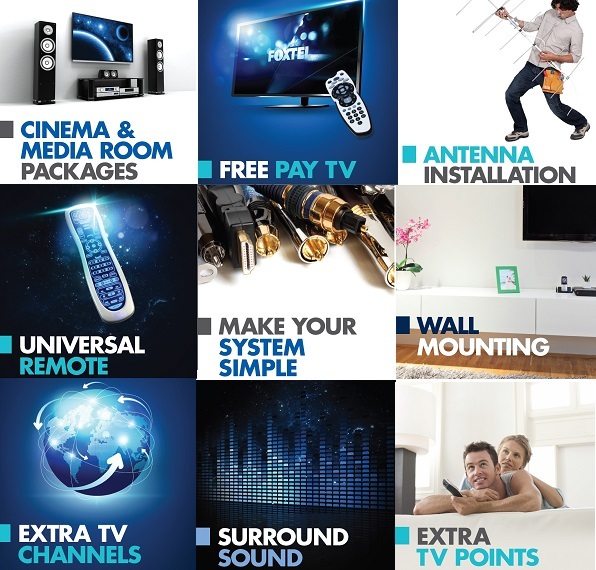 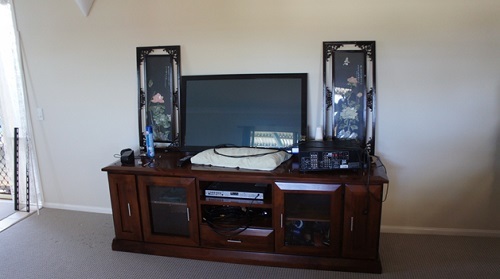 We can setup all your AV equipment that goes with your TV and get it all going again. 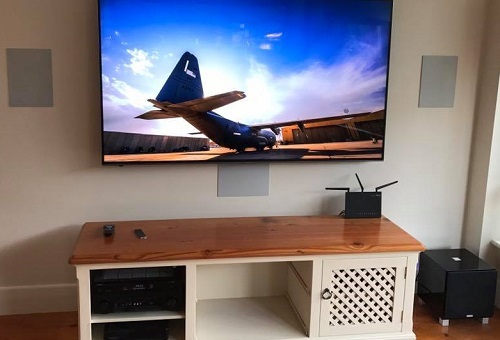 We don't just put the TV on the wall and leave. 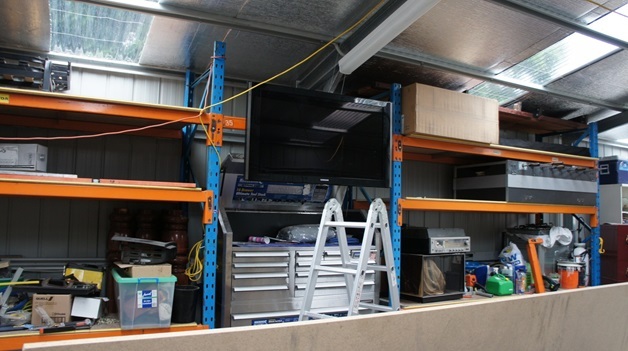 We make sure all your equipment is hooked up again and working. 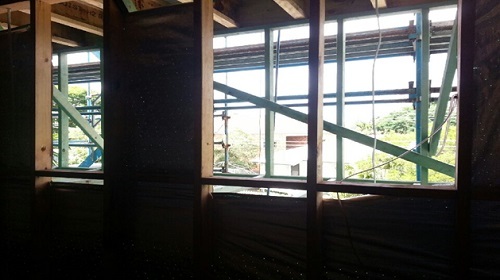 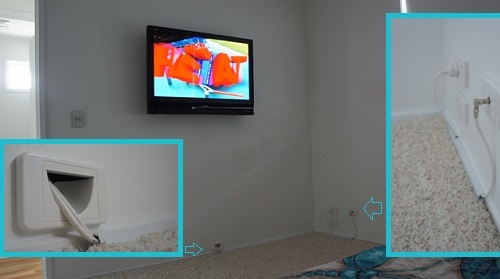 We provide neat covers over the holes in the walls required to do the job. 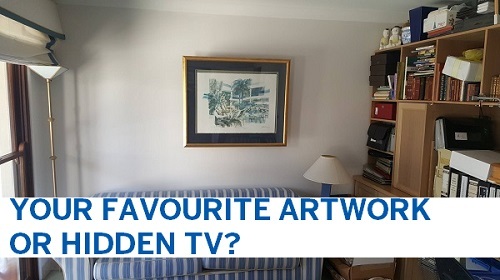 Seems like a no brainer I know? 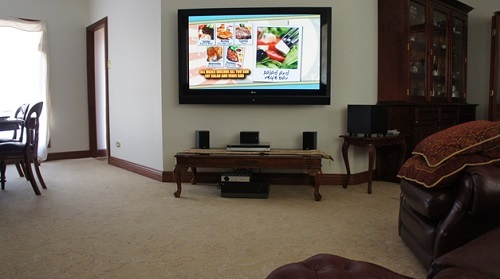 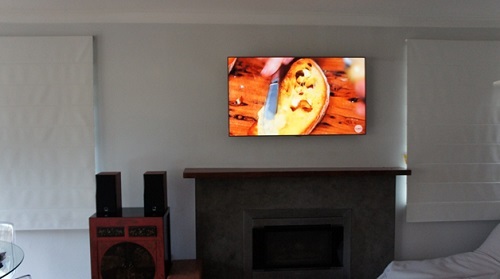 but we see a lot of messy attempts at wall mounting TV's by DIY'ers or cheapskate competition. 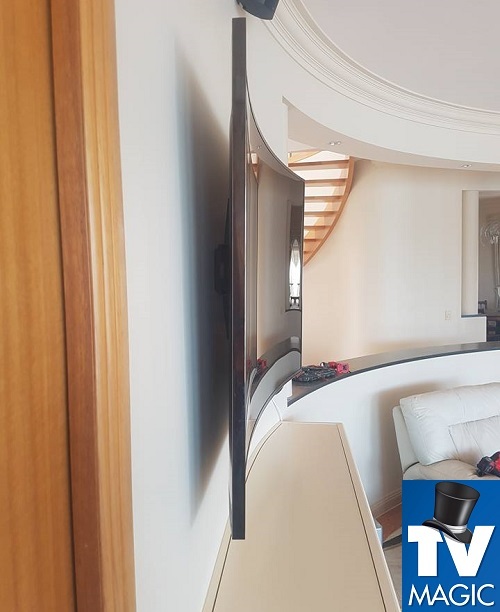 We always clean up. 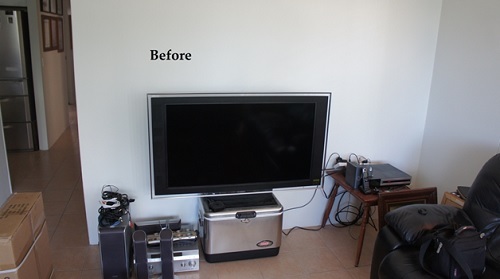 After wall mounting a TV there is generally quite a lot of plaster mess and it requires a good vacuum. 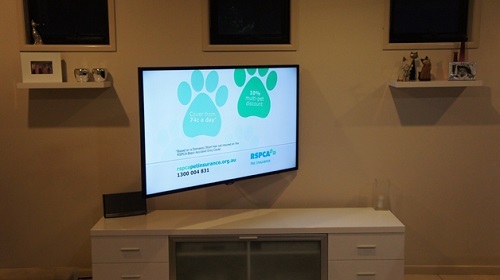 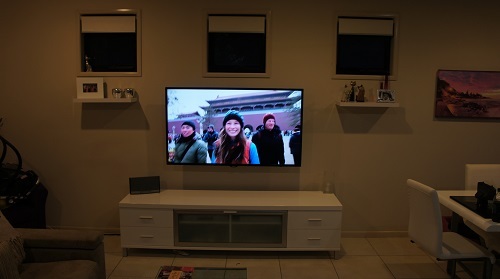 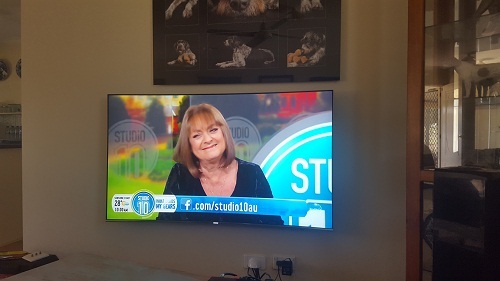 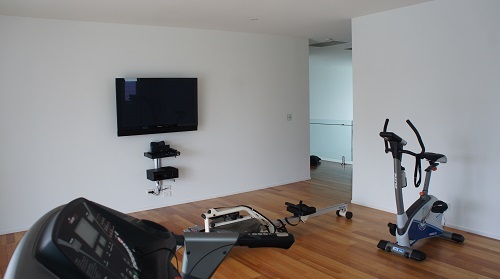 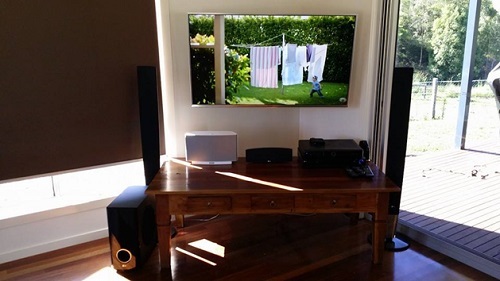 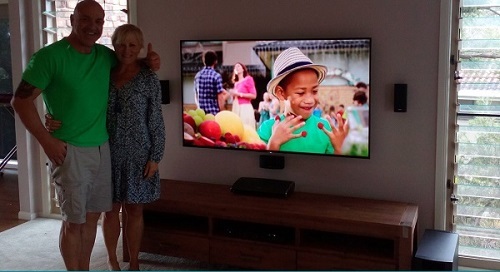 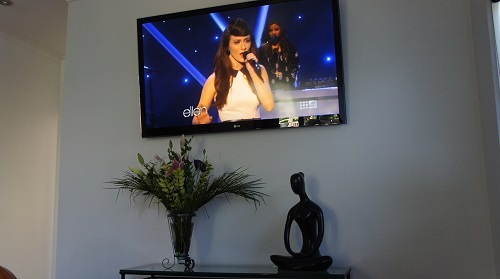 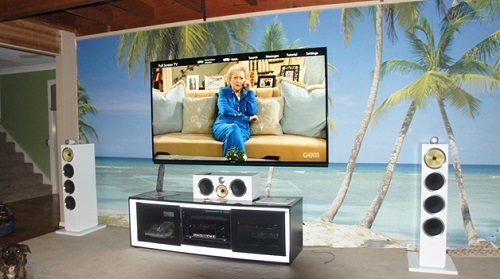 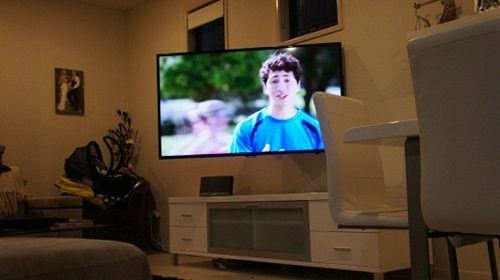 Elicha in Nerang Gold Coast called us out to wall mount her son's TV in his bedroom as a birthday gift for him. 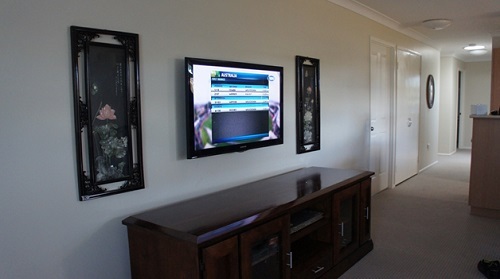 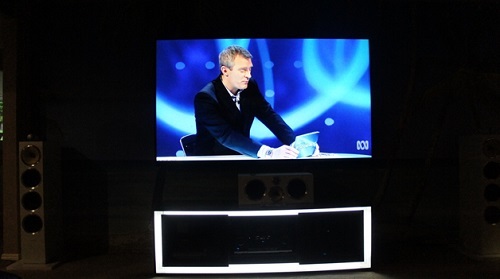 It was a small Hisense TV that she wanted wall mounted flat on the wall up higher than usual. 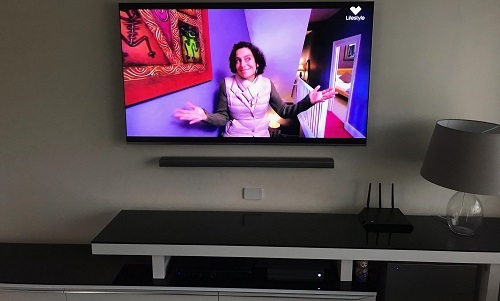 We explained that the neatest solution for her in this case was to relocate the TV antenna outlet and power point to up behind the TV as no equipment was being connected to it. 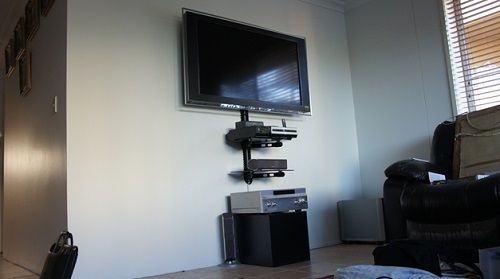 We supplied the bracket, relocated the TV outlet, tuned in the TV and presto! 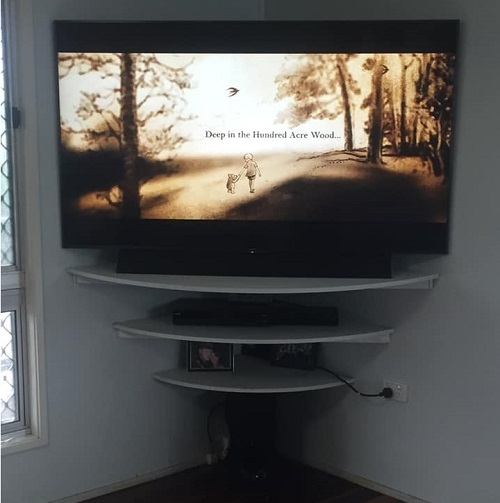 job done. 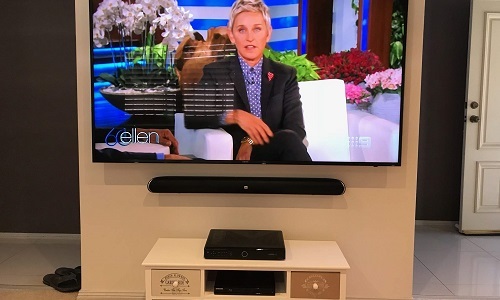 Being a surfer enthusiast Elicha said she's "Stoked" with the result. 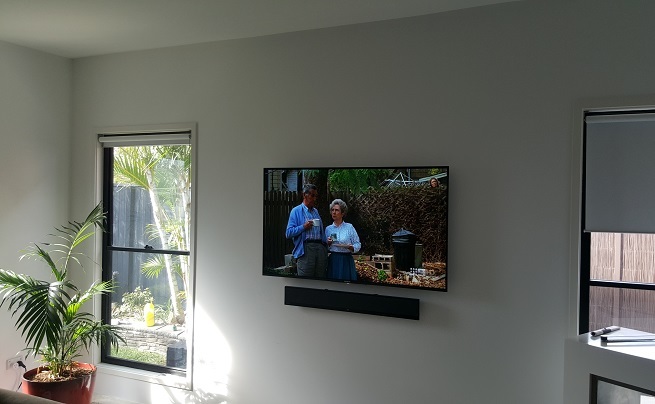 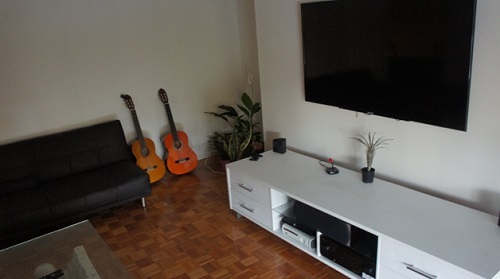 Another TV wall mounted in Nerang exactly how they wanted it. 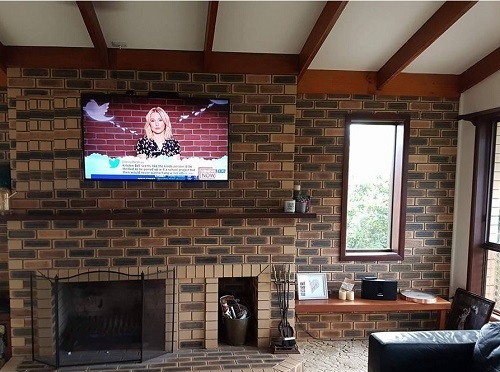 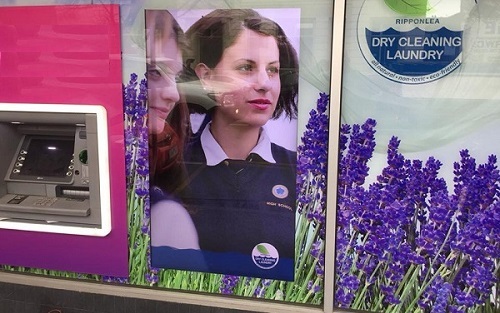 Call Dan 0488 899 849. 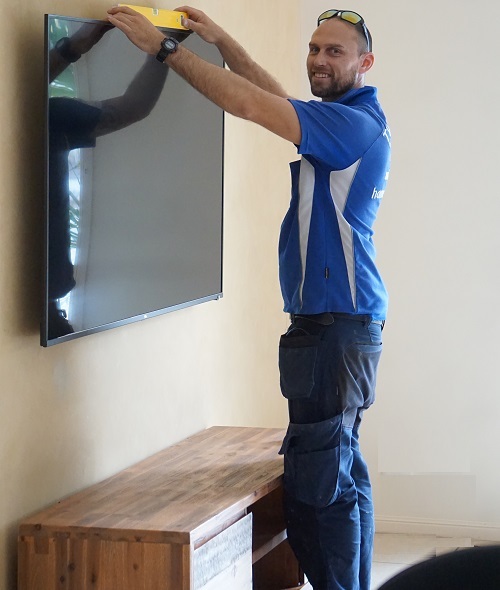 We also service all surrounding suburbs.